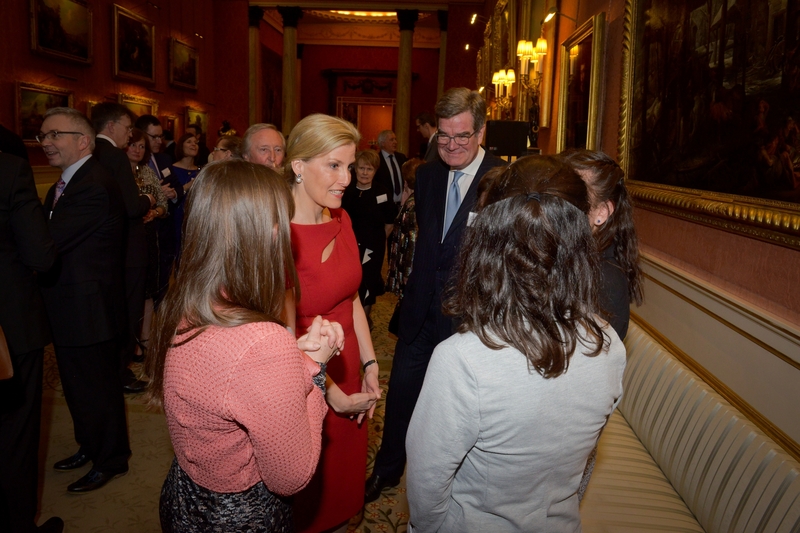 The Countess of Wessex, Patron of ChildLine and President of National Society for the Prevention of Cruelty to Children, hosted a Thirtieth Anniversary Reception for ChildLine at Buckingham Palace. In 2014-15, there were nearly 300,000 counselling sessions carried out between young people and ChildLine. The most common issues were family relationships, low self-esteem and unhappiness, abuse, bullying and online bullying and self-harm. Guests included founder Esther Rantzen and Games of Thrones star Natalie Dormer - a supporter of the charity. Her Royal Highness has supported ChildLine for many years, and became their first Patron in 2005.